Should We Mandate Higher Auto Insurance Liability Coverage? When Mike Duggan decided to move from the affluent Detroit suburb of Livonia into the City of Detroit itself so he could run for mayor, he was shocked at what happened to his car insurance premiums. They doubled. Same driver, same car, and even a smaller commute than what he had driving into town each day from Livonia. 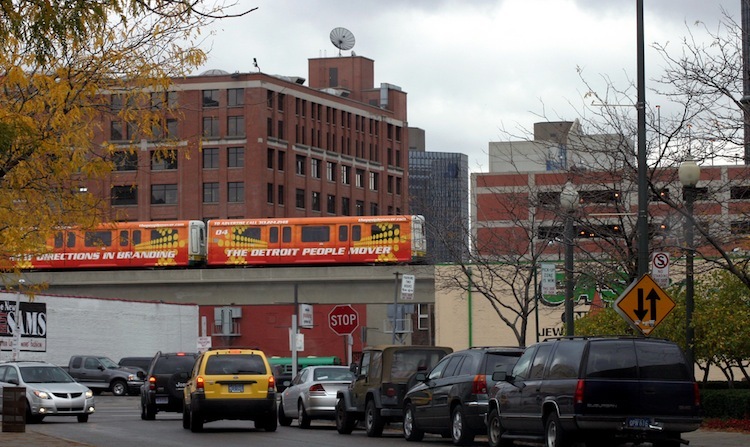 The only difference was moving south of the famous 8 Mile into an urban Detroit zip code. Duggan won his race for mayor in November 2013, after an aggressive write-in campaign – and fired a shot across the insurer’s bow: He proposed that the City of Detroit start its own auto insurance company. Why were the premiums so high? Well, if you ask the insurance industry, they say their exposure is higher in inner cities because of increased traffic density, higher rates of theft and break-ins, customers who don’t pay their premiums reliably, and too many uninsured motorists. If you ask critics of the industry, such as the Consumer Federation, they’ll tell you that insurance companies are guilty of the practice of redlining to an extent we would never tolerate from the more heavily federally-regulated banking and lending industry. Whatever the reasons, premiums are, indeed, significantly higher in urban areas than in suburbs – thereby making car insurance less affordable for working individuals in inner cities. For this reason, blacks and Hispanics are forced to pay higher rates, on average, than whites – and poorer families are forced to pay more than wealthier families for the same coverage. That is, when they choose to obtain coverage at all. In some regions, six out of ten of drivers are on the road uninsured, according to the Consumer Federation, which has increasingly criticized the auto insurance industry for actively discriminating against inner city residents. And herein lies a difficult conundrum for policy-makers: Uninsured and underinsured drivers are posing a real economic hazard for all other drivers on the road – but requiring higher levels of liability coverage would push minimum premium levels up, beyond levels that working class individuals are already having trouble affording. If we increase mandated coverage and therefore premiums, the number of uninsured drivers on the road will increase along with it – and we wind up criminalizing people who are simply trying to get to their increasingly scarce shifts working as cashiers, sales clerks, convenience store managers, food service workers, and the like. But these same people rely on their cars to put food on the table. Car ownership, studies show, improves the likelihood of employment by 80 percent, and adds $275 to weekly wages. Additionally, it tends to add about 8.5 weeks of employment per year. It’s not like insurance companies are making an effort to reach out to the inner city communities. For example, one survey of Washington, D.C., found that of the 80 auto insurance offices within the District, 45 of them were located in the two highest-income wards, while the residents of the poorest two wards had to make do with just three offices between them. Industry sources point out that inner city areas have 36 percent more liability claims per 100 covered persons, and 48 percent more collision claims per 100 persons. These numbers are also highly correlated with minority racial populations, and negatively correlated with income. Insurance companies have been using information on drivers’ occupations, education levels and credit ratings to set premiums. They can’t use income levels to select their customers, because those have already been determined to be illegally discriminatory. But they continue to use these other indicators as proxies for income. But the difference in prices seems to go far beyond even the numbers that the insurance industry offers in its own defense. While inner cities represent 36 percent more liability claims, per capita, and 48 percent more collisions, their premiums are more than twice as high. Additionally, information from several states’ insurance commissioners offices indicates that some major insurers actually charge lower premiums for standard liability packages than for policies merely meeting the much lower state minimums. Participating drivers can add $10,000 per person and $20,000 in bodily injury coverage, too, for an additional charge, as well as medical payments coverage of $1,000 per person. 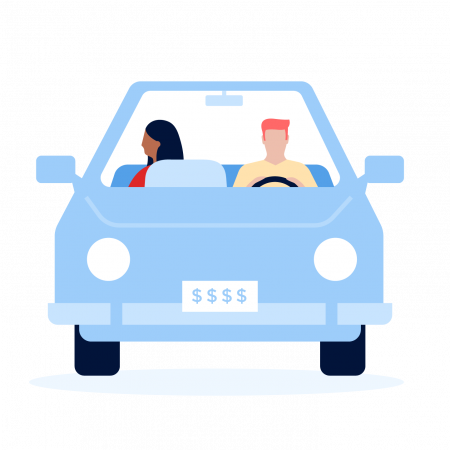 New Jersey also has its own Special Auto Insurance Policy program (SAIP), restricted to Medicaid recipients, that allows qualified drivers to drive for $365 per year – also called the “dollar-a-day” program. The problem with this program, however, is it provides no liability protection whatsoever. Obviously, people who meet the Medicaid income and asset requirements are going to be difficult or impossible to collect damages from. The 22,000 drivers currently on the road are a menace to other drivers on the road, and an excellent reason to buy uninsured/underinsured motorist coverage from your own carrier. But these drivers could also cause severe injury or death to bicyclists, children, pedestrians and others who have no reason to carry auto insurance. It seems that the New Jersey solution goes too far. What can you do? Well, for the time being, we’re stuck with credit scores being used as a proxy for drivers’ risk. So aside from being a safe driver, generally, you can make a dent in your insurance premium by keeping up with your bills. You can also ask your agent about multi-line and multi-car discounts, and discounts for the latest gee-whiz safety gizmos in your car. Do you have teenagers? Keep their grades up. Some carriers offer discounts for young drivers with good grades. And, of course, you can save money by moving to a more suburban or rural area. You can go online to compare hypothetical quotes from various zip codes and addresses, so you can see the difference yourself. Add the savings, on car insurance, if any, into your decision-making process about where you want to live.